USS Monterey armed with SM-3 Block IA interceptors and the Aegis missile defense system. The SM-3 cannot intercept Russian long-range missiles. The just-passed House Armed Services Committee plan to accelerate U.S. missile defense deployments in Poland to counter Russian action in Ukraine is all bark and no bite. The United States has a strategic interest in establishing economic and political stability in Ukraine, reassuring nervous NATO allies, and warning Russia that further interference in Ukraine or elsewhere would be a serious mistake. Congress, however, should be careful not to throw fuel on the fire and make a bad situation worse. And that is exactly what the House National Defense Authorization Act (NDAA) is in danger of doing. The bill, approved early Thursday by the House Armed Services Committee, would require the Secretary of Defense to accelerate the deployment of a missile defense system in Poland by 2016, two years earlier than scheduled. (Amendment 082r1 offered by Rep. Turner, R-Ohio.) The current Pentagon plan is to field the Aegis Ashore system with 24 SM-3 Block IIA interceptor missiles in Poland by 2018. This would be the third phase of the Obama administration's European Phased Adaptive Approach (EPAA). 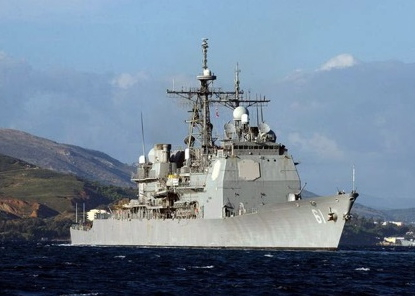 Phase One is already deployed with SM-3 IA missiles on Aegis ships in the Mediterranean Sea. Phase Two would field Aegis Ashore with the SM-3 IB missile in Romania by 2015. There should be no partisan disagreement on this point. Like the Obama administration, the Bush administration also had its European missile defense plans focused on developing threats, not Moscow. As then-Secretary of State Condoleezza Rice said in 2008 about the Bush administration's missile defense plan for Europe, "I frankly think that anybody who can do the math would know that 10 interceptors in Poland is not going to do anything to a Russian deterrent that has thousands of warheads." The planned interceptor for Poland, the SM-3 IIA, has a speed of about 4.5 km/sec, which is too slow to intercept Russian long-range missiles. Even so, fielding the SM-3 IIA by 2018 is already an aggressive schedule, and moving it up to 2016 is likely to be impossible given the state of the technology. The missile is being co-developed by the United States and Japan, which makes schedule acceleration particularly complicated. Thus, deploying Aegis Ashore in Poland by 2016 would likely mean using the slower SM-3 IB missile, at 3 km/sec. This missile will already be in Romania by 2015. There is no added military benefit against Moscow to having it in Poland, too. An Excuse for Russian Escalation: Both the Bush and Obama administrations have tried to convince Russia that European missile defense is aimed at Iran and is not a threat to Moscow's strategic missiles. But Russia is not convinced, and has resisted another round of bilateral nuclear arms reductions as a result. By seeking to accelerate EPAA as a response to Russia, Congress is providing the "smoking gun" Moscow has been looking for to show that EPAA really is a threat. "This situation ... only make us more certain that the [EPAA] system is an anti-Russian capability, which will only grow stronger in time," a Russian official said last month. This would further reduce the chances that Washington will be able to reduce Russian strategic weapons, which would otherwise continue to be a threat to the United States. It would also give Moscow an excuse to move Iskander short-range missiles closer to NATO, as it has threatened to do. None of this is helpful. Accelerating planned deployments of SM-3 interceptors in Poland to counter Russia would be all bark and no bite. It would do nothing to counter Russian strategic ballistic missiles or the threat of further Russian adventurism. But it would hamper U.S. efforts to reduce Russia's nuclear arsenal, and it would divert resources and attention away from more effective approaches.